Pittsburgh East Health Center’s providers have extensive experience when it comes to foot and ankle pain treatment. We have pioneered the industry’s latest proven alternatives to surgery and steroids. 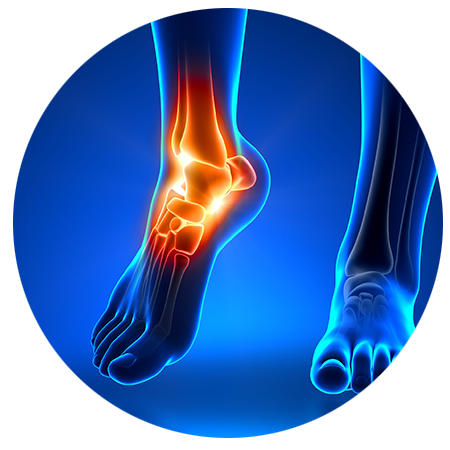 Our same-day procedures will alleviate your foot and ankle pain regardless of the cause. Our revolutionary platelet rich plasma (PRP) and regenerative cell procedures treat all the damages and underlying conditions that cause you pain. With just one visit to our specialists you can be on the road to living a pain free life. Our doctors utilize Amniotic Regenerative Cell to rebuild and strengthen damaged tissue. We can start your healing process on the initial visit. Alleviate your foot and ankle pain today! At Pittsburgh East Health Center we have introduced a new regenerative technique for the treatment of plantar fasciitis. We treat the stressed connective tissue with an injection amniotic regenerative cells. Our procedure regenerates damaged tissue while reducing pain. So if you are not satisfied with the results that traditional orthopedic treatments have delivered for your plantar fasciitis, contact us to learn more about how regenerative cell therapy can help.